We offer the room of our son left for his studies. The room is large (over 20 m²), oriented east and light (2 skylights). It has a double bed 140 cm, a large work desk and desk chair, wardrobe, closet, storage space, an armchair and has Wi-Fi internet connection. The kitchen is shared, the spaces storage are available. Parking in the basement or on the street. Public transport nearby (bus 13, 16, 42, connection time and the tram B) but the bike is convenient and also benefits from own sites in ways to Grenoble, the campus of Saint Martin D'Heres. Garden, terrace and pool. Loue chambre individuel, dans joli chalet bois en rez de jardin meublé, (tout équipé, l. Linge, etc..) au calme, avec jardin, et tout et tout (chaises longues, jeux, etc..) Dans un esprit de famille. Bus à 50 m. Libre de suite. Avenue of the Plaine Fleurie in Meylan. Homestay of 12m2 with balcony on the 10th floor. - Access to the common (kitchen, bathroom). - Internet: Wifi + Ethernet connection (RJ45). - View on Grenoble without opposite. - In nice and bright apartment of 102 m ². Conveniences: - Close CHU and trade (Carrefour to 100m); - Bus stop Plaine Fleurie: direct line Grenoble; - Bike room. Just steps technopolis Inovallée in a quiet and green setting at the foot of three mountain massifs, Chartreuse, Vercors and Belledone our house is the perfect place for your stays studies, business or leisure. The room is ideally located for business trips or school. You can enjoy many sports, skiing (ski Chamrousse, Les 7 Laux less than 40 minutes), hiking, mountain biking. The room is located in an old farmhouse years 1700 once used by the Carthusians as stagecoach fathers. The price includes breakfast in the morning, and the possibility of half board. For those seeking calm and concentration, in nature, with a 360 ° view, while being 15 minutes from the city center, we offer 5 rooms for rent in a large villa of 240 m2 on 2 levels in Corenc-Montfleury (Corenc limit Haut-Meylan), calm and luminous, on private wooded ground, southern exposure, with panoramic sight on the massifs of Belledonne, Vercors, Chartreuse and all the basin of Grenoble. Preferably for young adults, students or at the beginning of the activity, studious and respectful of the places and the internal rules, liking the tranquility, the beauty and the conviviality, do-it-yourselfers or amateur gardeners would be a more .. Scientists, engineers, intellectuals, or artists of preference, but without any discrimination..And preferring to party in the city center rather than at home. Rent all charges included (Heating, water, gas, electricity, Internet, etc.) with the exception of the housing tax, rental insurance and cleaning fees for common areas. On the ground floor: Entrance hall, large living room double bookcase with fireplace equipped with an insert, large dining room furnished with sink hob worktop, small kitchen, laundry with washing machine and ironing, toilet with sink . Upstairs: 2 bedrooms of 13 m2, with single bed, table, large closet of 2, 5 m3 with drawers (500 / month), 1 suite of 28 m2 for a couple, with large bathroom, dressing room , double bed, table and dresser (750 / month), 1 bedroom of 17 m2, empty at the moment (except a wardrobe) (550 / month), 1 bedroom of 17 m2, empty for the moment (except for a large wardrobe), with access to a small terrace-solarium facing west and a small storage room (600 / month), 1 second shared bathroom, 1 separate toilet. Large terrace facing East and South, private parking. Central gas heating, electric shutters and blinds, double glazing, hardwood floors, tomettes, wrought iron banister, ceiling height: 2, 80 m. Available quickly, after painting work in progress, or immediately for those who have no roof and are not bothered by paint odors. 5 km (15 minutes) from the historic center of Grenoble. 6 km (10 minutes) from the University Campus of Saint Martin d&#39;Hères. 4 km (10 minutes) from the North University Hospital of Grenoble - La Tronche. Served by 3 bus lines. Shops nearby at 500 meters. Grand Marché Bio 1 km. Shopping center at 2, 5 km. For summer job, internship or holiday, rooms available from June to 400 m from the university campus of Grenoble, near Polytech, Clinic Belledonne, and rehabilitation center Rocheplane. This T5 furnished room share includes common parts: living room, kitchen, WC and separate bathroom. Public transport, tram C peri-brusholette stop and shops nearby. Rent with charges included. 1 month deposit. No agency fees. Room for rent in a house. Sharing of common parts. Garden. Very close to the city center. Tram B 5 min. Bonjour! Je souhaite louer les chambres de mon appartement de mai à septembre, 430 euros chacune (charges comprises). Ce sont de grandes chambres situé dans un grand appartement agréable et frais pendant l'été grenoblois. L'appartement a une localisation idéale: en plein hyper centre de Grenoble, juste en face de l'arrêt de tram B. N'hésitez pas à me contacter! Desideri trovare una locazione a Meylan ? Meylan è un'affascinante città situata in Francia. Con Roomlala, gli abitanti Meylan sono felici di accoglierti, poco importa la ragione della tua locazione (turismo, viaggio, lavoro, stage, studi, ecc.). Il sito è a tua disposizione per aiutarti a trovare una locazione arredata a Meylan o una camera presso l'abitante a Meylan. Quale é la differenza? Affittando una camera presso l'abitante, affitti principalmente una staza, nell'alloggio di un abitante di Meylan. Trovare una locazione arredata a Meylan equivale ad affittare un monolocale, un appartamento o una casa in cui il proprietario non vive. In entrambi i casi, le locazioni offrono servizi obbligatori. Grazie a Roomlala, puoi trovare un coinquilino o dei coinquilini a Meylan. Se hai già trovato un alloggio (casa, appartamento), puoi semplicemente publicare un annuncio gratuito per cercare i tuoi futuri coinquilini. Se non hai ancora un alloggio o dei coinquilini, puoi trovare una coabitazione a Meylan, nel quartiere che più Meylan ti piace, per brevi o lunghi periodi (camera in affitto al mese, all'anno). 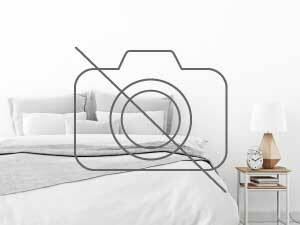 Per i brevi soggiorni, la nostra piattaforma vi permette ugualmente di cercare una camera presso l'abitante a Meylan o un Bed and Breakfast (camera a notte) a Meylan, in prossimità di luoghi turistici di Meylan. In occasione di un alloggio per le vacanze a Meylan, puoi visitare i luoghi caratteristici e passeggiare per la città. Un'altra possibilità: cerchi un alloggio in cambio di servizi a Meylan ? Roomlala ti propone annunci di locazioni in cambio di servizi come babysitter, aiutare le persone anziane, sostegno scolastico, assistenza a domicilio, alloggio intergenerazionale, aiuto studenti, portiere, soggiorno au pair, ecc.